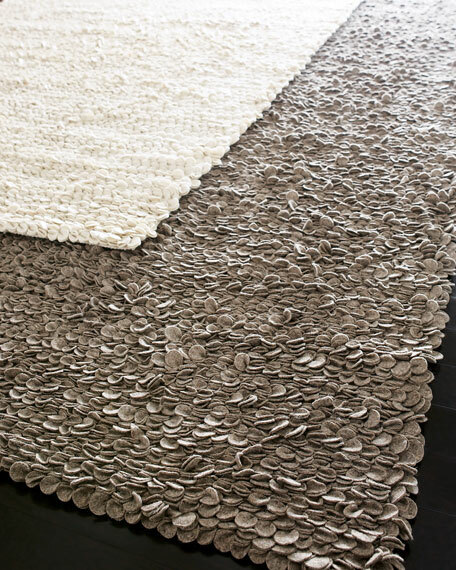 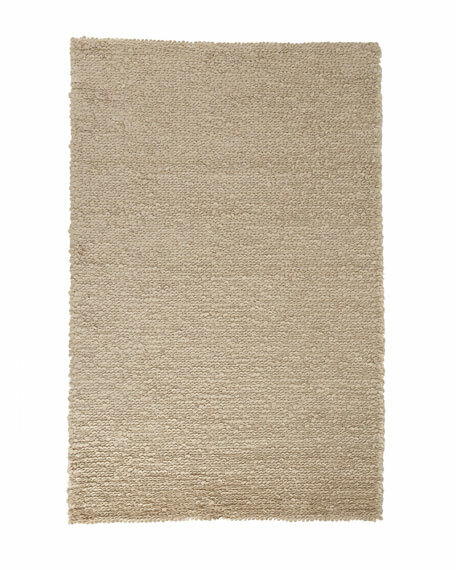 Handwoven rug sewn from countless individual petals of felted New Zealand wool. 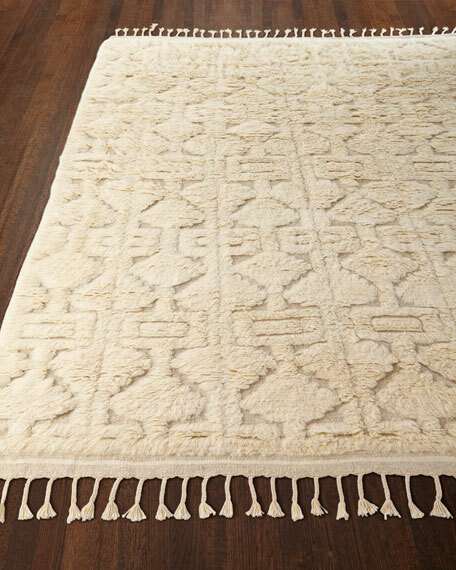 Traditional Oushak rug.Handwoven of wool. 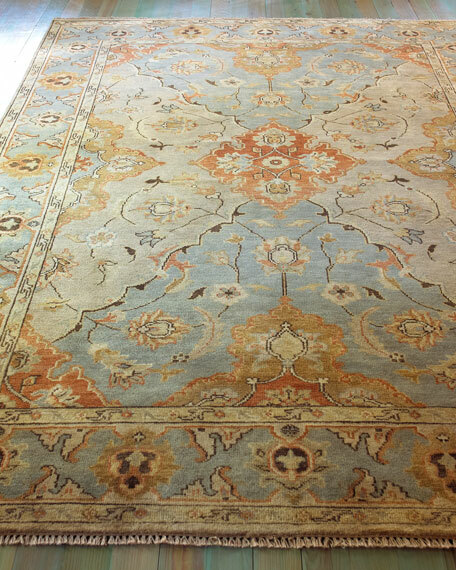 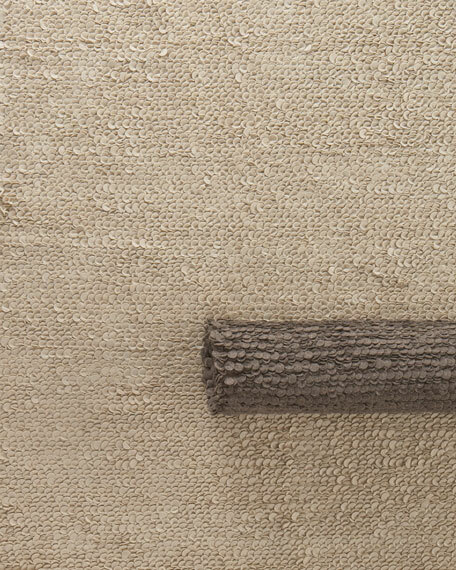 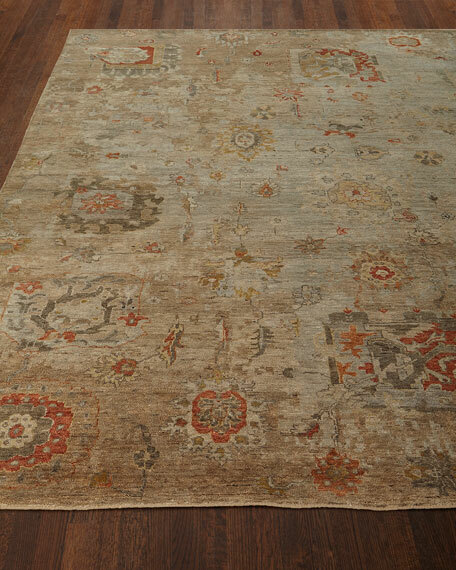 A special heirloom wash produces the subtle color variations that give Oushak rugs their distinctive antique look; therefore, each will differ slightly from the one shown here.Size is approximate.Imported.